Company Information & History | Telonics Inc.
Telonics Inc. evolved from a partnership formed in the late 1960s to meet the technical needs of the wildlife research community. A privately held corporation established in 1978, Telonics has applied the advanced technologies required for wildlife research to meteorology, oceanography, search and rescue, space communications, military instrumentation, and a complete line of remote sensor equipment designed to enhance surveillance, monitor specific sites, and protect lives and property. The name Telonics is derived from the original partnership which was formed as TELemetry electrONICS consultants and is the most recognized and trusted name in the field of wildlife and environmental telemetry. Telonics products are used around the world in wildlife and environmental research programs, oceanographic and meteorological research, weather forecasting, military instrumentation, search and rescue, remote sensing and intrusion detection, and numerous special applications. The Telonics staff is comprised of over 70 staff members, including engineers, technicians, field support specialists, assemblers, and support personnel developing fully integrated subsystems for data transfer, acquisition, and processing using state-of-the-art micropower and micro-miniaturization techniques. 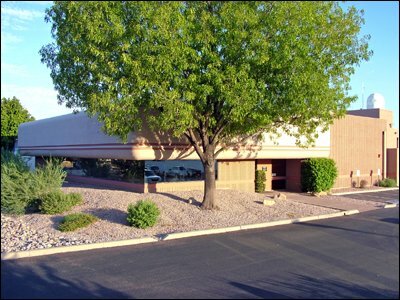 The modern 25,000-square-foot laboratory is located in Mesa, Arizona; the Telonics client base is worldwide. As the needs of customers have expanded and become more technologically sophisticated over the years, the company's mission has also broadened. Telonics is committed to providing users with the most advanced and price-competitive equipment available. The staff is dedicated to providing an unmatched level of technical expertise and field support. Today that expertise includes keeping customers aware of technological advances, and developing new products and applications that capitalize on new capabilities when they become economically feasible for specific applications. Telonics is also committed to helping our partners balance project goals against critical time and budget considerations. At Telonics, equipment is a tool used to answer specific questions. The company's engineers and technicians draw from a broad range of technologies to develop complete, fully integrated systems that are conceptually appropriate for the field. Flexibility is designed into every Telonics product from the beginning and subsystems are then custom engineered for specific applications. The goal is to design and manufacture equipment that is ready to support the needs of a diverse customer base. Those customers include both the scientific research community and field personnel from other agencies and organizations who use Telonics equipment for a variety of purposes. From the first day of deployment, our expertise and support continue throughout the length of a project. As your technical partner, Telonics consultants are accessible and available to help with any questions or problems that may arise. Telonics is best known for its adaptation of aerospace technologies and reliability to the field of wildlife research. Thousands of the company's receiving systems and tens of thousands of its transmitters have been deployed in the field. Associated support systems are being used in aircraft, boats, and land vehicles around the world. Telonics hardware is often seen on wildlife programming including productions by the National Geographic Society, British Broadcasting Company, Bruce Mieyer Productions (Wild Kingdom), the Australian Geographic Society, and New York Zoological Society. Telonics clients include researchers working with many state, provincial and national governments, international organizations, and many of the world's major research universities. Panda bear studies in the People's Republic of China. Orangutan studies in the jungles of Borneo. Polar bear studies on the Arctic ice. Leopard seal research in the Antarctic. Caribou migration in the Yukon, Alaska, Newfoundland and Labrador. Alligator studies in the bayous of Louisiana. Wild camel and crocodile research in Australia. Pilot whale tracking in the Atlantic. Red wolf re-introduction in North Carolina. Red deer studies in Germany and New Zealand. In addition to wildlife applications, Telonics is currently the world's largest supplier of earth stations used in conjunction with low-earth-orbiting (LEO) satellites, including NOAA, TOM-EP, DMSP, and geostationary (GEO) satellites including GOES, GMS, and METEOSAT. Remote Data Imaging Terminal (RDIT) receiving systems were used during the 1991 Gulf conflict, and the Small Tactical Terminal (STT) program supplies several branches of the military. The THRPT-2 antenna-receiving system supports data recovery from LEO satellites. Argos Local User Terminals (LUT) provide data and position information to Argos DCLS users. Full duplex 5-band command and control (CDA) systems have been developed for HETI and ALEXIS systems. Telonics has also developed low-cost Radomes to complement several earth station antennas. HRPT systems operating in the U.S., Russia, Korea, Germany, Sweden, Kazakhstan, and Israel. RDIT deployments in Saudi Arabia. SST systems for the U.S. military. THRPT-2 systems operating in the Antarctic, Korea, Portugal, France, Japan, Taiwan, Mexico, Tahiti, and the United Kingdom. LUTs providing Argos DCLS data for the USGS in Alaska and at Oregon State University. Geostationary earth stations used in weather forecasting by the USAF in Panama, NWS in Hawaii and Alaska, the Severe Storm-Warning Center in Oklahoma, and METEOFRANCE in Tahiti, and Korean Commercial TV in Korea. Eagle/Telonics is a joint venture partnership established in 1988 between Telonics and Eagle Security Systems of Belton, Texas, to develop the Eagle Intrusion Detection System (EIDS). In 2006, the joint venture dissolved and Telonics took over the entire product line. The EIDS line of processor/transmitters includes long-term deployment models, medium-sized tactical units, and miniature short-term units. When combined with Telonics portable and fixed-site receivers, the system can be adapted to meet diverse deployment scenarios. Designed to be buried, EIDS uses seismic, magnetic, passive infrared, break-wire and pressure mat detectors to detect, classify and report unauthorized intrusions or illegal activity. Timber and mineral theft prevention. Protection of vehicles and equipment. Perimeter security for executive estates. Power station, oil and gas field protection. EIDS customers include the U.S. Forest Service; National Park Service; military agencies (domestic and foreign); United Nations peace-keeping troops; Federal, state and local law enforcement agencies; U.S. Immigration and Naturalization Service; U.S. Border Patrol; and private corporations. Mt. Hood Locator Unit for search and rescue operations on Mt. Hood in Oregon. Miniaturized advanced SARSAT satellite transmitter configurations designed for special applications of the U.S. Dept. of Defense, NASA and other agencies. Diagnostic uplink verification receiver systems for Argos and SARSAT systems. Data acquisition and imaging earth stations. GPS-Argos transmitters for tracking meteorological balloons and oceanographic buoys. GPS-Argos systems to service the trucking, rail and container transportation industries. Over the last 25 years, the staff at Telonics has grown to over 100 experienced engineers, technicians and field service specialists. The company has developed many of the most reliable and innovative products available in the field for transferring data, RF tracking, locating, remote sensing, signal detection and data logging. Hybrid integrated circuit design and fabrication. Long-term quality assurance and reliability engineering. Testing and evaluation programs for advanced battery technologies, including environmental testing. Wood, plastic and metal shops. Production polymer and hermetic sealing facilities. Lithium battery handling and assembly area. Separate R&D and production assembly facilities. RF screen room test area. Production test and quality assurance facilities. Geostationary and polar-orbiting satellite tracking facility. Mechanical production facilities unique to transmitter attachment devices dealing with special materials such as rubber, leather, fiberglass, urethane and cloth. Complete capabilities for the development and production of long-term surgically implanted sensing and transmitting devices. Computer support and software design facilities. The Telonics staff offers extensive experience in the field deployment of transmitting subsystems on animals, ocean buoys and a variety of specialized installations. Telonics personnel have also developed many successful installation methods for hand-carried, land-vehicle, fresh-water and ocean-going vessels, and aircraft of all types. This expertise includes substantial engineering experience coupled with certified A&P technician support, ensuring optimal installation with little or no impact on mechanical and electrical system performance. The staff includes both commercial and private pilots. Telonics provides training for customers at our laboratory facility in Mesa, Arizona. The field staff is also available to provide training seminars on site worldwide.